Susan Sampson was born in Budapest and grew up in Toronto’s Little Hungary, nicknamed the “Goulash Archipelago.” Having both parents in the gruelling restaurant business sent her running in the opposite direction. She landed in the field of journalism. The Toronto Star, Canada’s largest newspaper, became her second home for 23 years. She worked as an editor and writer, eventually producing the Saturday lifestyles section before moving to the Test Kitchen in 2002. There, she stirred the pot as an editor, columnist, news and feature writer, recipe tester and developer, and product reviewer. It was a fortuitous midlife career change: Susan ended up doing what she loved best without the inconvenience of leaving the building. 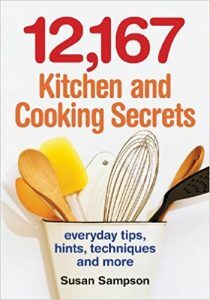 Along the way, she started collecting kitchen tips and tricks – an addiction that culminated in her first book, 12,167 Kitchen and Cooking Secrets. Susan is a versatile, self-taught cook with an adventurous palate. She has frequently been asked to judge cooking contests in categories ranging from butter tarts to hot, hot chili. While pursuing her craft, she has cooked dishes from an array of cultures and stoically sampled a host of strange foods, from crunchy locust snacks to stir-fried snake to barbecued beaver tails to civet dung coffee. 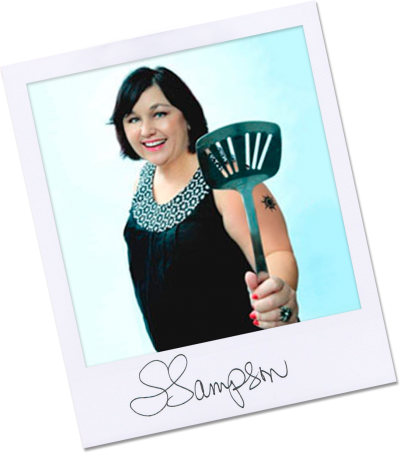 As a food expert, she has made guest appearances on TV shows and radio stations across Canada. In 2010, she left the Toronto Star to cook, write and collect kitchen secrets at home. 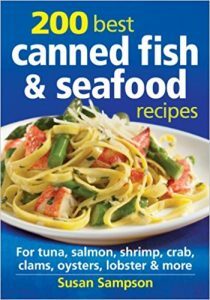 She has since produced two more cookbooks: 200 Best Canned Fish & Seafood Recipes is a guide to choosing, using and getting creative with everything from tuna to clams to anchovies. 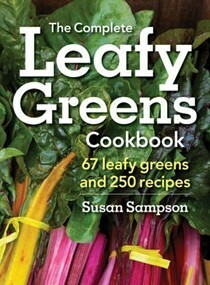 The Complete Leafy Greens Cookbook is a comprehensive introduction to a wide world of nutritious, delicious veggies, from kale to nettles to tatsoi. Society for News Design (International) for section fronts in the Toronto Star: "The Waiting Game", "Salts of the Earth and Sea" and "Fun With Fungi"